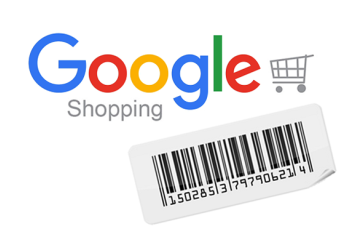 The use of GS1 barcode numbers or keys has recently been preferred and in some cases, required, for sellers using many of the world&apos;s leading online marketplaces, by virtue of being globally recognized. Our solution Read More... can help you turn your numbers into barcodes. You can also leverage the GS1 standards. Alibaba.com is an ecosystem of platforms that connects buyers and suppliers worldwide, serving "millions of buyers and suppliers around the world." Their mission is to is to make it easy to do business anywhere. They do this by giving suppliers the tools necessary to reach a global audience for their products, and by helping buyers find products and suppliers quickly and efficiently. .
Amazon Marketplace is an e&dash;commerce platform owned and operated by Amazon.com. It enables third&dash;party sellers to sell new and used offerings on Amazon.com&apos;s fixed&dash;price online marketplace, alongside Amazon&apos;s regular offerings. Using Amazon Marketplace, third-party sellers gain access to Amazon&apos;s customer base, and Amazon expands the offerings on its site without having to invest in additional inventory. Customers gain access to additional offerings, increased competition, and the ability to purchase from third&dash;party sellers. Coming Soon: Learn how GS1 Australia is supporting Amazon Australia&apos;s operations. On GS1 standards & keys: Using a globally recognised unique identifier (like GS1 GTINS) allows for this process.